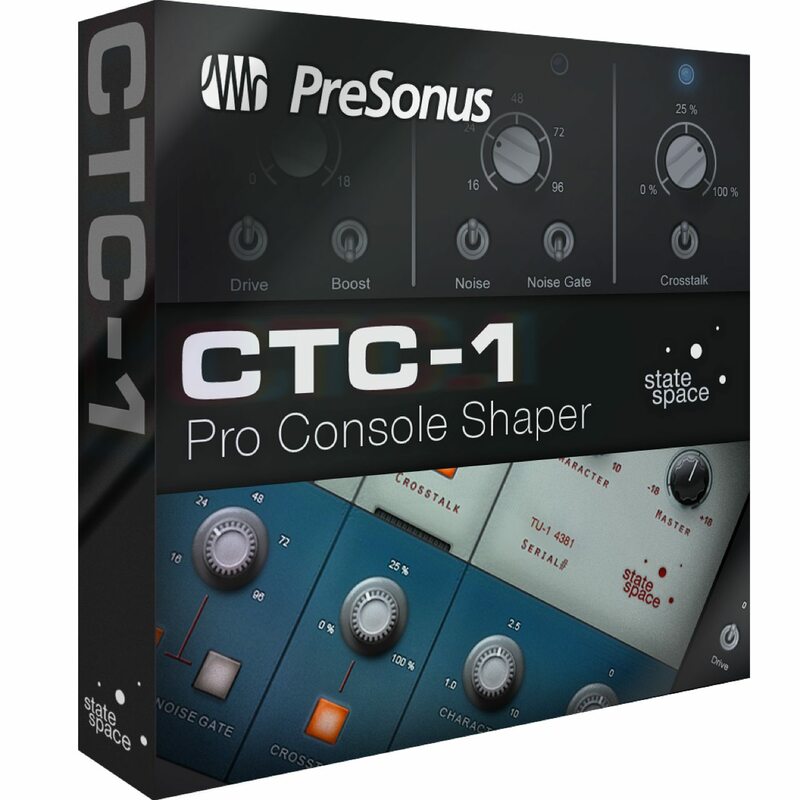 The CTC-1 Pro Console Shaper by Presonus is the second plug-in developed for the new Mix Engine FX interface in Studio One and the next evolution of plug-ins from the included Console Shaper. CTC-1 brings analog console modeling to Studio One with three great-sounding console models and several r enhancements to the Mix Engine FX environment. Utilizing state-of-the-art State Space Modeling technology, CTC-1 captures the character and personality of legendary analog consoles that are otherwise out of reach for most musicians, producers and engineers. Going far beyond virtual channel strips and mastering plug-ins, CTC-1 is capable of changing the way how people mix inside a DAW. Mix Engine FX – as opposed to insert and send effects which reside on individual channels or busses – are capable of processing every channel of the mixer separately with just a single plug-in instance. When added to a bus channel or the main output channel, every signal routed into that channel is processed independently at the source, allowing the plug-in to transform the sound of an entire mix while still maintaining the nuances and dynamics of every individual channel. Although being suited for many different applications, Mix Engine FX are tailored for analog console emulation. The original Console Shaper and the new CTC-1 both belong in this category. Compatible with Studio One Professional 3.3.1 or higher.